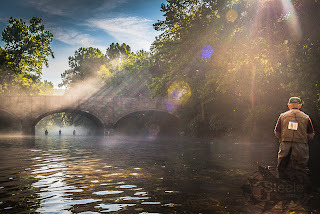 One of the biggest frustrations that I have on my river trips is when a picture doesn't turn out the way that I wanted it to. 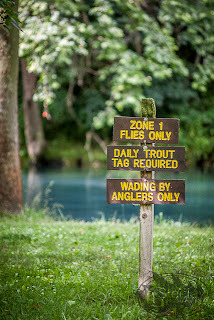 So, I got thinking that maybe other people have the same problem when photographing fish or other outdoor scenery. A quick email over to my friend, Gretchen Steele...and wah-lah!! It's great to know people with special talents that can share some "tippets" to help the rest of us out. 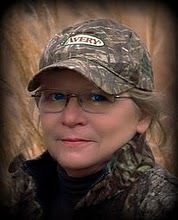 My guest writer is the author of "Walkin With The Wild Woman" outdoor blog. And she also has a professional photography website, "Steele Photo Services". It doesn’t take a big expensive and fancy DSLR camera to capture great photos of your fishing adventures. In fact, who can concentrate on getting a good image if you are filled with fear that your expensive camera might take dip and suddenly become an expensive paperweight? Remember, “The camera TAKES the image, the photographer MAKES the image”. Thankfully through the miracles of modern technology, there are some fine waterproof and shock proof point and shoot cameras out there that are not only easier to have on hand when fishing by the grace of their small compact size, but deliver a great images. While it seems we are all about the fish and the sought after trophy shot, it’s important to remember to document the whole trip – again thanks to modern technology and digital images it’s perfectly fine to click away like mad. You can always sort, cull and delete extraneous, poor, or just plain icky images. Better to have too many than risk not having that one important moment. 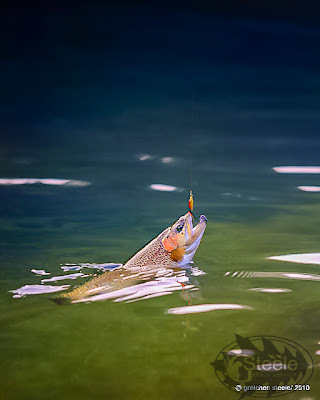 Here are a few tips to help make your fishing images creative, eye catching, and worthy of being a “wall hanger”. 1. Get the big picture. Back up, think big, and capture the entire setting and scene. 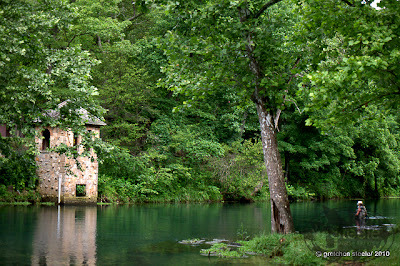 Select the landscape setting on your point and shoot to help you easily achieve a grand large wide angle view of things. Many of our special fishing trips involve breathtaking settings. 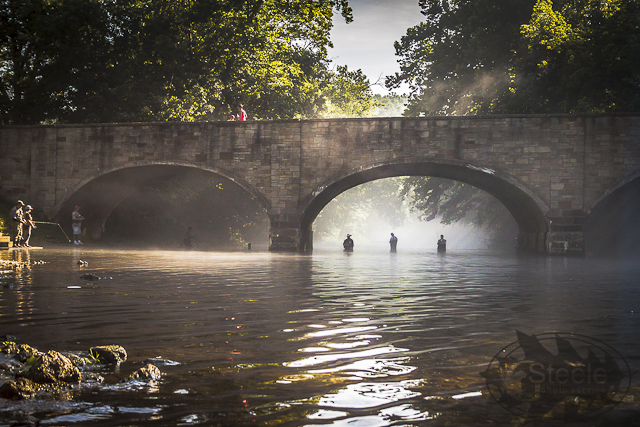 While an angler is integral part of the image, it’s not the sole focus of the image – as shown in the image below; the setting is what gives the viewer a sense of place and peek into the overall experience. 2. Details count! Not only to you want to capture the whole scene it’s those tiny bit and pieces of things so often go overlooked. Use the close up or macro setting on the point and shoot and get in there to capture water drops on a reel, a good close look at that special fly, forceps hanging from a pocket. Any number of seemingly small details can be creatively composed and will provide you that image that jogs your memory and has you saying, “ It was such a teeny thing but it made such a difference”. 3. Watch the light. 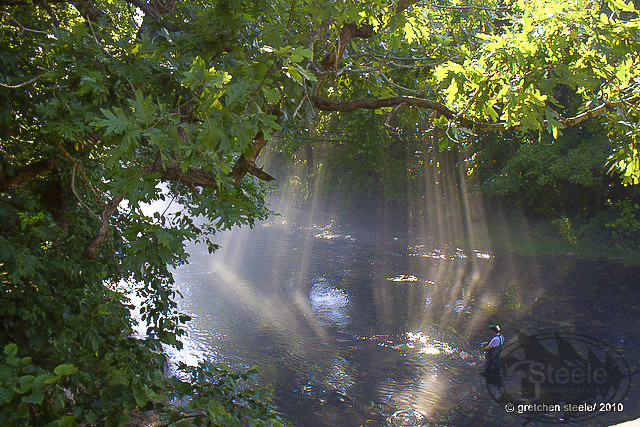 One of the biggest bugaboos in fishing photography is lighting; from the dreaded hidden face due to a hat shadow to the whole angler and fish thrown into shadows because of the bright sun, light can alternately be your best friend or worst enemy. Check to see if your camera has fill flash setting, if that is available, the small amount of flash – yes in broad daylight – can go a long way to making the subject of your image pop as well as helping to prevent the darned hat and face shadows. Another trick for the hat shadows is to simply raise the brim and pull it back a little on your subjects head. If fill flash isn’t an option on your camera, turn the flash on and shoot a series of images with flash on and again with flash off. This gives you a bit of cushion and you can decide after transferring them which works better for you. When possible insure that the sun is behind the photographer or at a side angle of about 45 degrees. In very low light situations it never hurts to try the night setting on your camera. 4. Move Around. Switch the angle that you photograph from. Snap from above, below, the side. Simply photographing your subject from a different angle can often take a good image to great image status by adding depth and interest. 5. Have No Fear! Memory cards are cheap, deleting is easy. The more photos you take the better you will become. It’s that simple. 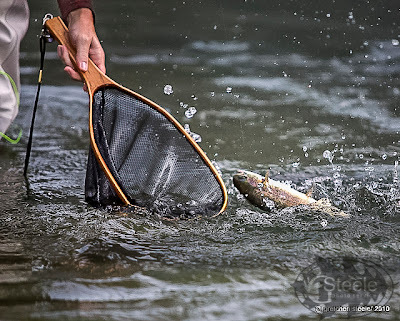 Do not be afraid to stray away from the standard grip and grin trophy fish pose and try an image of the angler releasing the fish or netting the fish. Put your rod down and just sit back and really look at what you most want to remember, what catches your eye enough to make you think, “Oh I wish Bob was here to see this.” Snap that image to show Bob what you see, tell your story with images from start to finish! Lastly, always think conservation before creativity. Some fish, such as the huge sturgeons, should never be removed from the water, and in fact it may not be legal to so. In that case you are going to have to don your waders, and work out into the water to do the photographing. If you absolutely are not going to wade out into the water, use a wider angle lens to capture the angler gently floating the fish on the surface. Remember that in all fish photos it’s best to have the sun at the photographer’s back or at 45 degree angle and as always – sunglasses off – hat brims up – we want to see those smiling faces! It’s important to be conservation minded when doing catch-and-release fish out-of-water photos. I often ask anglers to gently float the fish in the net until I am set up and ready to snap in order to minimize the time out of water. The angler should always have wet hands when handling the fish, and keep it out of water no longer than absolutely necessary. The rule of thumb I use is no longer than I can hold my breath. 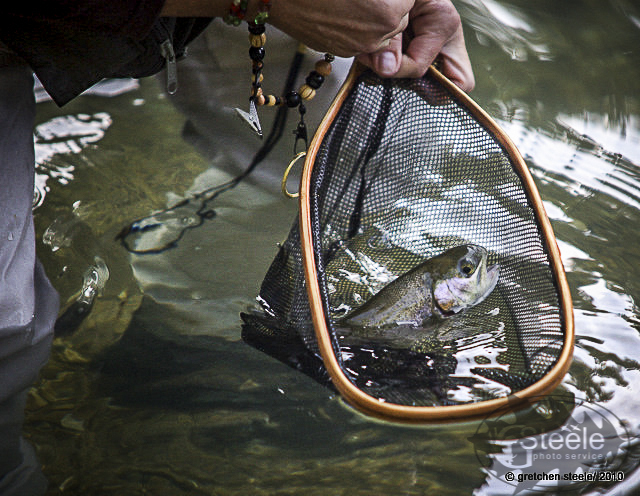 Hold the fish properly for the species, some can be held lip style, some should have their whole body supported. At all costs avoid the dreaded grip and grin, with the fish held straight out in front of the angler in death grip with both hands , yes, it makes the fish look larger , but it’s a trick we are all on to and it also makes the anglers hands look abnormally large. I ask the angler to bend her arms at a 45, with elbows touching her sides or abdomen. That still gives a good separation of fish and angler yet doesn’t make things seem disproportionate. 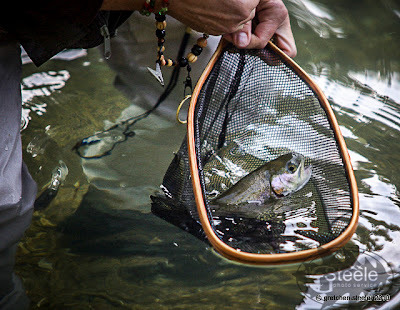 Harvest – If your fish are going to be harvested, you have a bit more leeway. You can actually take the time to clean up the fish and the angler and get a little creative with posing. Have the angler admire her catch for the day, arrange the tackle combination used alongside the fish, get in close. You still need to remember to work fast and keep the fish wet. 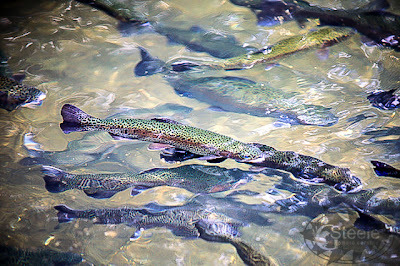 The longer the fish is out of water, the more the colors begin to fade. You want to capture those sparkling drops of water on a brightly colored fish. 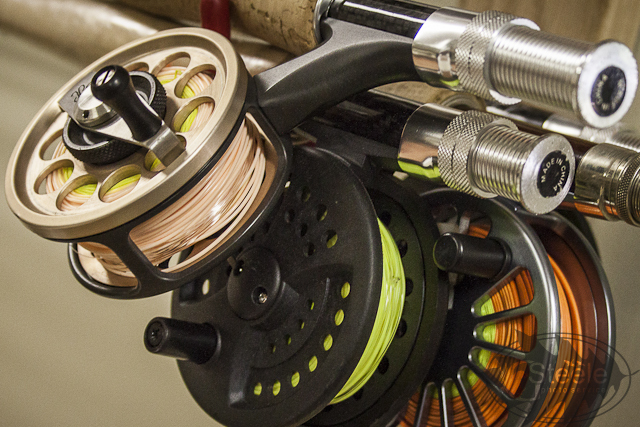 So remember, be brave, let your creativity go wild, don’t just limit yourself to trophy photos when fishing, snap photos throughout the trip of anglers casting, close ups of rods, reels, bows, netting a fish. Capture the memories of the entire trip! Great tips! As you know, I don't do a whole lot of fishing myself but I like to get outdoors and go w/my husband or just out hiking and taking pictures. Just hope I can remember all the great ideas and tips on my next adventure. Great tips and great photographs! Thanks Gretchen and Emily. All I can say is Wow!!!! Thanks Gretchen for the great tips. I love your photos! Thanks everyone! Rule one - don't forget the camera! Other than that just enjoy yourself and take lots and lots photos. - Thanks too Ms. River Damsel for inviting me - I was honored to be on such a great blog. Fantastic tips and some great pictures to prove they work.